With a reputation for speed and grip, the Vittoria Corsa G+ makes a convincing claim for being considered the best road bike tyre. 'Vittoria has made headlines recently with the inclusion of graphene into various products. 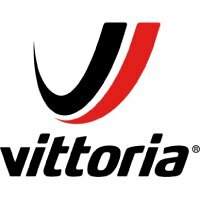 By including a small percentage of Graphene powder into its rubber compounds the Italian company says its has seen huge leaps forward in the grip, rolling resistance, and durability of the Vittoria Corsa G+ tyres. I have been putting the Vittoria Corsa G+ tyres through their paces over the last six months, which has meant they have been subject to some horrendous weather and roads. In addition to field testing out on the road, engineer and pro rider, Dan Bigham helped me calculate the rolling resistance of these tyres. The Vittoria Corsa G+ tyres are noticeably fast on the road and also came second in our rolling resistance test. The Bontrager R4 tyres are lighter, with a thinner carcass, something that will help it to be faster, but that comes at the expense of puncture protection and longevity. I felt that there was more grip in wet corners here than the Bontrager R4s too. I even descended on these tyres in the wet during the Quebrantahuesos Gran Fondo in the Pyrenées where the grip was excellent, and they performed very well in the dry on my local criterium circuit too. Despite the improvements over the previous Vittoria Corsa, we did find that the new tyres had a tendency to pick up debris in the wet. Small stones and debris gets caught in the slotted grooves in the tread. I am always sceptical as to the actual benefit of tread patterns on road bike tyres, considering the very small contact patch. I should stress that I didn't get a puncture while testing though. The Vittoria Corsa G+ tyres are also exceptionally wide for "25mm” tyres, coming out at 27mm when measured on our stock rim. Significantly wider than Bontrager, which at 24mm are also sold as 25mm. Interestingly, the 23mm tyre comes out wide too, at around 24.5mm. You may want to consider that as an option, if you are looking for actual 25mm width and clearance is an issue. 'The clincher version of the evolved world's best performance tyre pushes the limits of versatility.